It is hard to believe that U.S. leaders might actually be thinking about a “winnable” nuclear war with a lust to rule the world (hegemony). Peace activists have supported the legal ban on nukes being established at the United Nations, yet knowing that the UN is helpless to enforce such a ban. World federalists believe part of the solution is to revise or replace the defective UN Charter. Our THE SAN FRANCISCO PROMISE campaign demands a review of the UN Charter in order to open the door for creating a “new UN,” one given the tools it needs to enforce world law. WITH President Trump’s announcement of the US withdrawal from the Intermediate-range Nuclear Forces (INF) Treaty, the US is now set to dismantle the entire architecture of nuclear disarmament worked out between the US and the Soviet Union in the 80’s. In 2002, under George Bush, the US walked out of the Anti Ballistic Missile (ABM) Treaty. It is now pulling out of the landmark INF Treaty struck between Reagan and Gorbachev in 1987 that dismantled over 2,700 nuclear-tipped missiles. The Trump administration has also indicated that it will leave or abandon the 2010 New Strategic Arms Reduction Treaty (START) that limits the number of nuclear warheads, the only remaining nuclear arms control treaty now in place. The New START, if not extended, ends in 2021. 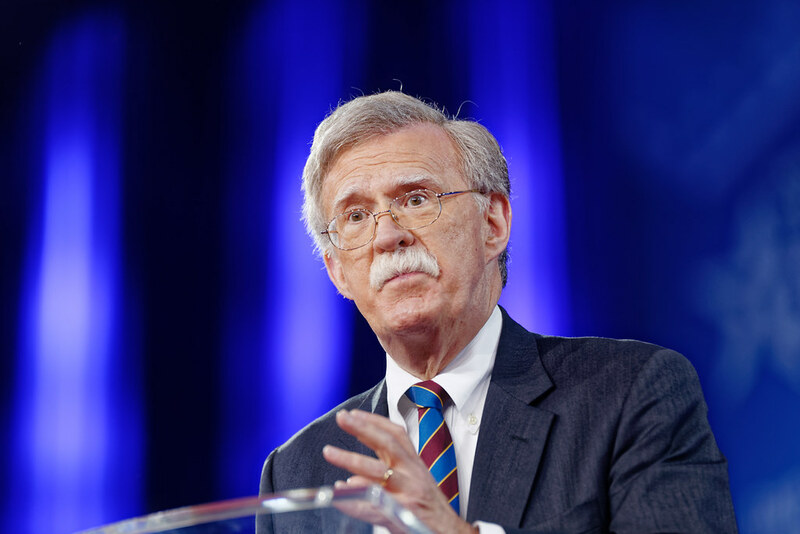 Taking a wrecking ball to all the nuclear restraint regimes, or partial disarmament measures, has been the favourite pastime of John Bolton, the current US National Security Advisor (NSA). 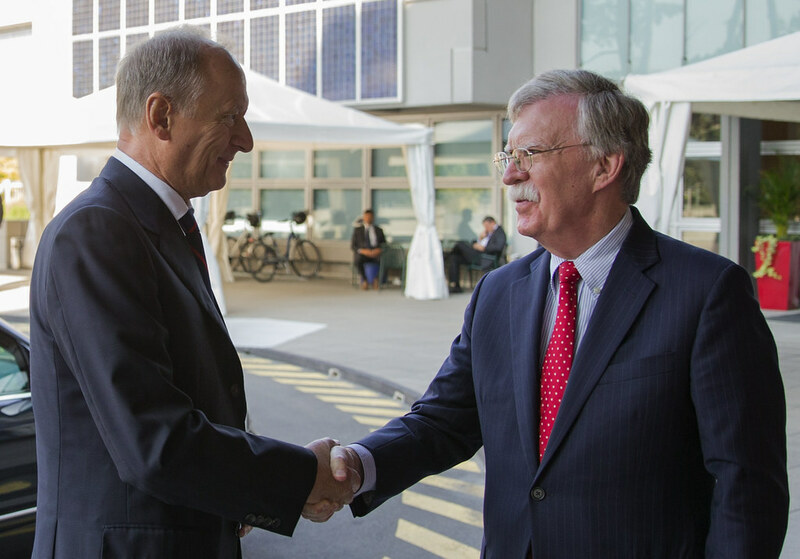 Whether it was walking out of the ABM Treaty, or the earlier North Korean nuclear agreement, now Trump’s unilateral withdrawal from the Iran nuclear agreement and the INF Treaty, Bolton has been the loudest voice. He has been arguing for no restraint on the US nuclear forces, while demanding that others accept whatever the US demands of them. Unilateralism is too weak a word for these policy views; it is US exceptionalism, and complete US nuclear dominance of the globe. This is the strategic part of Trump’s America First Policy. Of course Bolton is only a voice. In the US circles, he represents the view that nuclear war is winnable, and if the US increases its strength and number of weapons, it can dominate Russia and China. His coming to the top in the US strategic policy making, indicates the victory of these forces in the Trump administration. The dismantling of all nuclear treaties is the real issue, and not the explicit reasons given in each case. For each of these cases, the US has either given some weak arguments, as in the ABM or the INF Treaty; or simply announced as in the Iran case, that it was a bad deal struck by the previous administration, and the US would no longer abide by it. It is only when we see the overall picture, we understand that the US is now seeking to unilaterally impose its view of the world – the US as the supreme power, and all others as subordinate ones. That is why the need to dismantle the entire nuclear arms control regimes that accept that wars between nuclear armed powers are unwinnable. The INF Treaty applies only to land-based missile systems, and not to equivalent air or sea borne missiles. The range of missiles covered by it, is 500-5,500 km, and it was explicitly focussed on Europe, which in the 70’s and 80’s had become the arena of competition of land-based nuclear missiles. The INF Treaty does not cover any other country, such as the UK, France and China. Dismantling of 2,700 missiles was one achievement of the INF Treaty. The other was an understanding between the US and Russia that ground-based tactical nuclear weapons, or short range nuclear weapons, were also to be reduced and limited. What are the reasons advanced for the US pulling out of the INF Treaty? In 2014, the US claimed that they have “highly sensitive information and sources and methods,” which indicate that Russia has tested and deployed a missile that exceeds the 500 km range of the INF Treaty. The missile, which it identified subsequently, was the 9M729 ground-launched Novator cruise missile. The Russians have rejected this claim, and asked the US to produce specific information. In the last four years, the US has refused to make public why it considers these missiles to be in violation of the treaty, and only repeated its stock phrase of “highly sensitive information, sources and methods,” which it cannot make public. 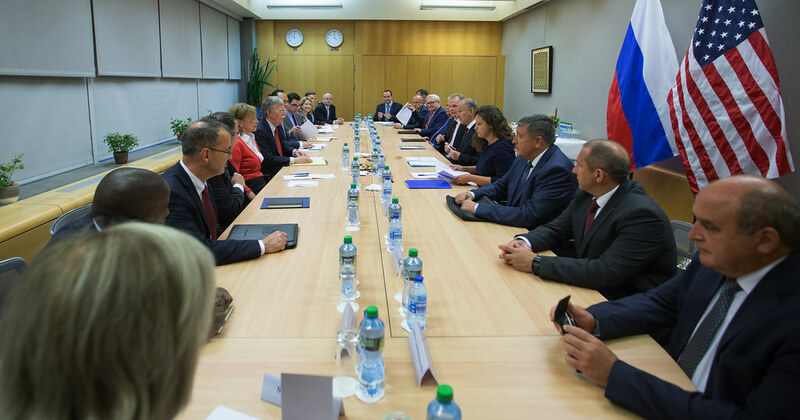 It claims that it has shared this information with its NATO allies and in closed door negotiations with the Russians. If it has already shared some information on these missiles with the Russians, it is inexplicable why the US has not made at least this information public; or brought it before the disputes settlement process within the treaty. In turn, the Russians have not only rejected the US charges, they have charged that the Aegis system the US has installed in Romania, and now installing in Poland, have MK41 missile launchers that can also fire land-based Tomahawk cruise missiles of 1250-2,500 km range and proscribed under the INF Treaty. The US Navy, in its fact sheet, states that the sea-based Aegis MK41 batteries can fire both anti-missile and Tomahawk cruise missiles. The US argument has been that the electronics and the software for the land and sea based systems are different; therefore the land based Aegis system with MK41 missile launchers are not a violation. Knowledgeable persons in arms control disagree with the US position, and have said that the treaty provisions are such that the US position is difficult to sustain. The Russians have raised the issue of drones in the INF range and capable of carrying nuclear weapons. Without getting into details of the charges and counter charges, the question that the US has to address is whether the INF Treaty has disputes settlement mechanisms, or is walking out the only “solution” to the problem? The question that the US refuses to answer is, if the Russian violations are indeed the cause of the US walking out of the Treaty, why did they first not activate the disputes settlement process within the treaty? Why, without trying for a resolution, have they decided to abandon the treaty? Is it because they know their case is weak and the Russian case strong? Or are these claims meant only for abandoning the treaty? Without any reason being advanced for why the US decided not to go through the disputes settlement process, it strengthens the belief that the claims regarding the Novator missile are only a fig leaf. The intention was to walk out of this treaty. In the US view, the INF Treaty is a Cold War relic and does not serve its purpose anymore. If Russia is indeed violating the INF Treaty, the countries most concerned should be the European countries. They are the ones under the Russian land-based missiles range, and would also have to host such US missiles. None of the European partners of the US have openly voiced their complaint of Russian “violations”, nor have they agreed or asked for a deployment of US land-based cruise missile deployment in the INF range on their soil. The total number of Chinese nuclear warheads including INF missiles is 280 (Chinese Nuclear Forces, Hans Christenson, Robert Norris, Bulletin of the Atomic Scientists, Vol 74, Issue 4, 2018). This includes air, sea and land based missiles. While some US analysts have claimed that the Chinese have cruise missiles in the intermediate range, according to the authors these claims are confined to the air-based version. In any case, the number of Chinese weapons are so small, compared to the existing arsenal of the US – 6,450 and Russia – 6850, it is difficult to find much sympathy with the US analysts who feel deeply threatened by China with its small arsenal of nuclear weapons, and therefore their need to increase the US stockpile of 6,450 weapons further. China remains a red herring in this discussion. In any case, neither Japan, nor South Korea have articulated any desire to host US land-based intermediate range nuclear weapons on their territory. The key issue is the US desire to return to the 90’s status of the world’s sole hegemon. With trade and land wars failing to achieve this purpose, the US is back to its belief of a “winnable” nuclear war. Back to the future; or the Strangelovian doctrine, “How I Started to Stop Worrying and Love the Bomb”.